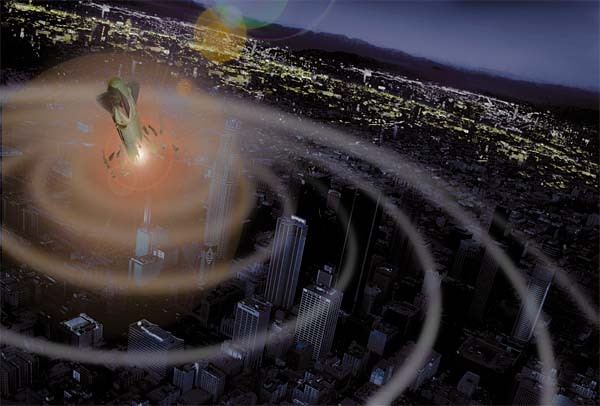 I follow the blogs, I watch TV and I must say, the talk about EMP strikes is gaining ground. Interesting? Yes – Concerning? Maybe! It appears that an EMP strike on the US is the ONLY viable option for countries like Iran and North [not South] Korea as well as rogue regions like the middle east and South America. Why? Well, with ONE nuke, you can send the US back to the stone age. We would be scrambling internally to stay afloat and our focus would be damage control in the US and not abroad. Now – of course we would still be militarily effective, 20% of our servicemen are stationed outside the US and arguably, we have enough firepower under the sea to wipe out any government that messes with us. So yes, there is still the threat of mutual destruction. Unfortunately, that doesn’t seem to deter certain groups whose hatred for us is so deep that they are willing to do anything to hurt us. The simple fact of the matter is that an EMP is the most effective way to hurt the US. Couple that with its straightforward deployment, and you get a likely and effective weapon. We may also be susceptible to a biological attack but the title of my article doesn’t say anything about that! Whether shot from the dock of a ship which is then sank to hide the evidence or fired from a South American jungle, the enemy can deliver a crippling blow to the US with ONE nuke. What are you doing to be prepared???? Power: Your power is going down, obtain alternative sources of power. Get a solid generator and plan where you are going to set it up. Having it on the ground outside your house will not work. It will be stolen almost immediately. During the Gulf Coast disaster, generators were stolen item #1. I like the quiet Honda generators, then can run on your window sill and have a low noise profile. Oh yeah and get gas too. You may wish to consider a perpetual power source such as solar or wind. However, for the money and simplicity, generators are the better option. But if you have solar and if there is an EMP strike, your electronics are going to get fried with everything else, so store your generator and solar electronics in a Faraday cage. Food: As I preach regularly, food is numero uno (#1) when it comes to survival. Get a lot and then get some more! An EMP will shut down gas stations and equipment – this means nothing is moving around the country including food! Security: I know everyone likes to talk guns – I do too. But in an EMP scenario, it is less likely to be an issue. Here’s why – You will only have to deal with locals. Why? No cars (or very few) will be moving! Couple that with little gas and you have a stagnant population. (I know some disagree with me). As suburban preppers, our neighbors are less of a risk than our big city counter parts. Is there still a concern? Yes, But you will likely die of starvation before your neighbor the accountant tries to kill you. This post is just a scratch on the surface of an EMP discussion. Think, plan and implement your own strategy! REMEMBER, prepping is just insurance. It is better to have and not need it, then need it and not have it! Keep Prepping and Good Luck!